Eeyore says, "A little consideration, a little thought for others, makes all the difference." With Eeyore dancing. A printable that you can download and print right now. 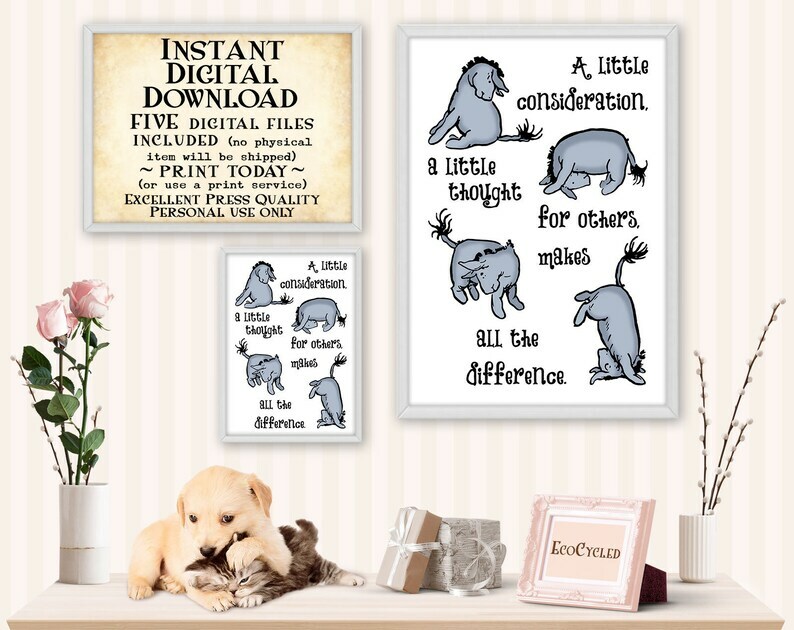 A wonderful gift for a Classic Pooh nursery or for a best friend.